Eco ideaM Ltd is a Scottish based environmental facilitation and ideas company. 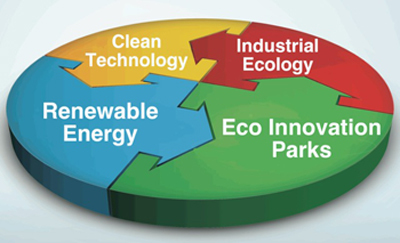 We work in a number of areas including clean technology development, eco innovation parks, recycling systems, remanufacturing from recycled materials, materials brokering, advanced conversion energy from waste technologies, new generation food production systems and renewable energy. We act as development partners to gear value with project partners, either as an invited party or as a project initiator. Our business model is simple. As a small company we work on an associate model to deploy a wide range of skills to any given requirement, quickly and at lower cost than many larger companies. A primary business skill is the process of visioning the possible.